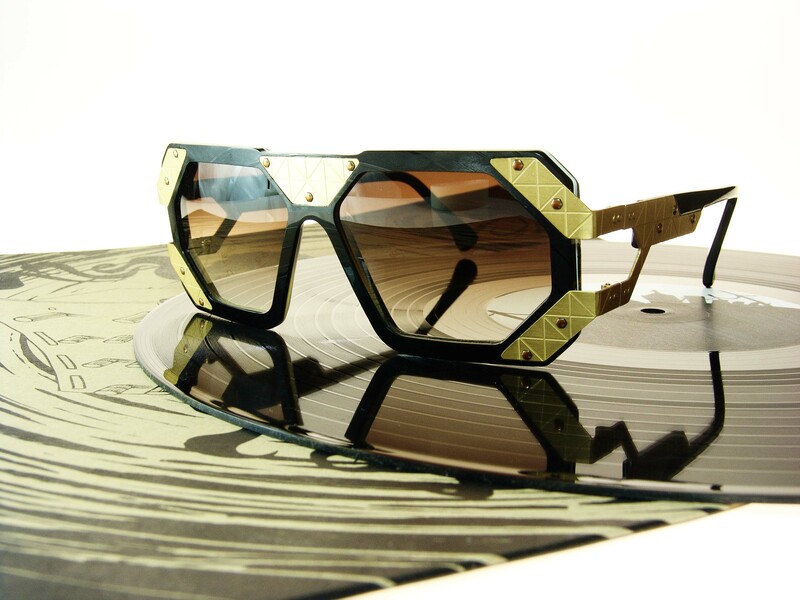 Vinylize glasses are handmade in Hungary by Tipton Eyeworks. After searching for a new material to make frames, Zachary Tipton discovered his father’s old record collection and had the idea to recycle the abundant material to serve a new purpose. The first series was developed from communist vinyl, salvaged from the Budapest flea markets. The durable pressings could still be played, even after half a century, but to insulate them from the effects of heat, they were fused with biodegradable cellulose-acetate using proprietary technology. 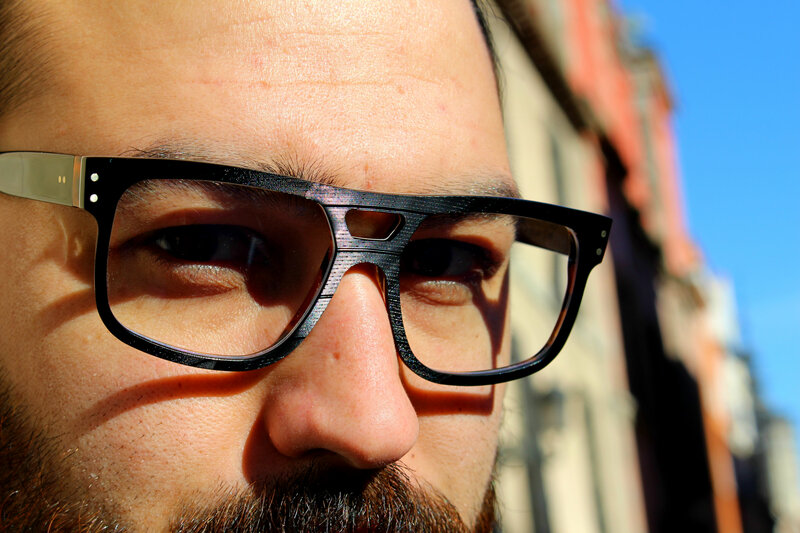 Following years of testing, the team developed methods to transform one of the longest lasting plastics into eyewear.